Janice Miller Potter was born in western Pennsylvania, but has lived in New England for most of her life. 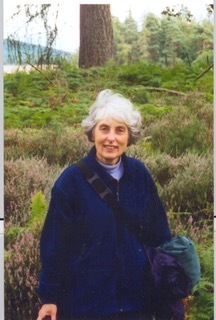 She has written two collections of poetry, Meanwell (Fomite, 2012) and Psalms in Time (Finishing Line, 2008). A third collection, Thoreau’s Umbrella, is forthcoming from Fomite in 2019. Her poems appear in Poet Lore, Connecticut Review, Common Ground Review, The Fourth River, Blueline, J Journal, Café Review, Adirondack Review, The Pittsburgh Quarterly, Birchsong: Poetry Centered in Vermont and elsewhere. She is very happy to be included in this issue of Bloodroot Literary Magazine! She lives in Cornwall, Vermont, where she writes and gardens with her husband Richard and two spaniels, Kerrie and Dylan.